MR2 Owners Club Message Board > Shop Talk > Paint & Body Shop > Interest? 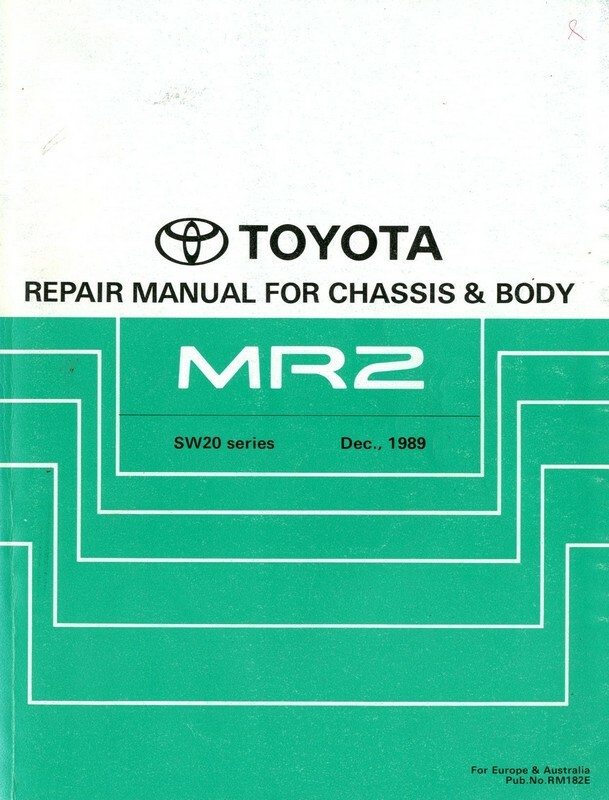 - Toyota Repair Manual for Collision Damage BRM025E/"BGB #4"
Toyota MKII MR2 Repair Manual for Collision Damage BRM025E/"BGB #4"
I've got one of these manuals at home and from what I see there's not many around. It could be helpful for people that need to do body work on their MR2, which is getting more common at this point with the age of our MR2s. I'll go through the hassle of doing this if there isn't already one available online. I can't seem to find one, but I may be looking in the wrong area, so just let me know if this is needed or not. Thanks! This manual would be for the Mark two MR2s. Edit: The file is now available as a PDF, in post #7. Last edited by Goopi; August 31st, 2016 at 18:46. Reason: Updated thread. Hmm I have the first 3 BGB's but not the body one. I do have a dent in my quarter panel... haha. This one does have a body section, is it what you're talking about? Toyota MR2 MK2 BGB Files Or is there a more detailed book that I'm not aware of. Nope, there's one more book out there with a lot more detail. Thanks, it probably would've been easier on a larger one, but I've already done about half of it at my average joe size one at home. I'll post up the PDF by today. Here it is. The file is 612MB, so for the mobile guys take a precaution on checking your Wi-Fi or if your device has enough storage. I have never uploaded a PDF file this large before, please let me know if the link works. Much appreciated! Or try this link if the one above doesn't work, it's for the exact same file. Last edited by Goopi; March 25th, 2019 at 14:53. Would the 88/89 body repair manual show the placement of the pinstripes with gaps and spacing etc? Anyone happen to have a copy of this file? Link not working for you?